Photographs are keepsakes of the past that evoke memories of wonderful times spent with our family or friends. Most people have treasure-troves of albums lying safely in a trunk or in a cupboard, taken out when nostalgia strikes and looked over fondly. However, these photographs can fade, tear, crease, or get stained with time. There is hope, however, in the latest software tools that restore old photographs back to their former glory and maybe, let you make fancy slideshow mixing those with latest photos. This can be done by anyone by following a few simple steps and with the help of software tools that are available in both free as well as commercial versions. Retouch Pilot is a photo retouching software that has a lot of features jam packed into the free version. 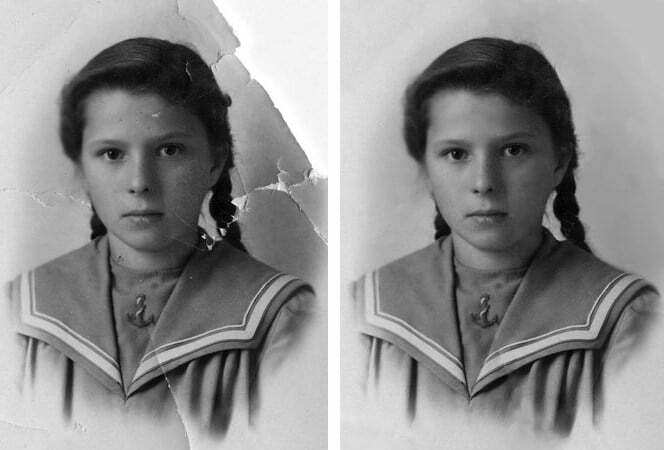 You can remove small scratches, spots and dust from the old photos. It is perfect for the novice and doesn't take much time to start using it like a professional. You can use Retouch Pilot on Windows XP/Vista/Windows7/Windows8/Windows10. This is a more advanced free software that has loads of free downloadable tutorials on the website. With customizable brushes, sharpening or blurring features, color retouching, and advanced layering, it has features which most other commercial (or paid) software provide. However this excellent free image and photo editor only supports Windows 98 OS. 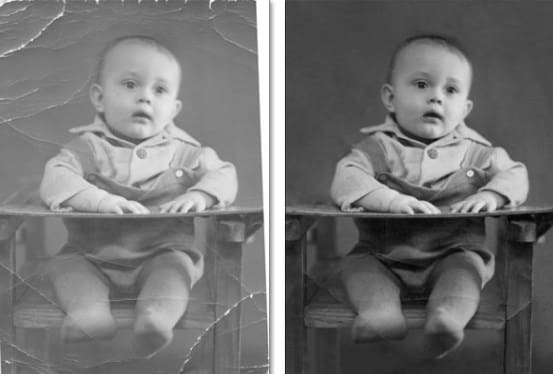 Fotophire can erase unwanted objects with automatically repairing the surrounding, so it is great if you want to repair old photos and don't want to spend a lot of money. With Fotophire you can erase scratches, spot, dust with ease, even wrinkles and skin blemishes, digital facial retouching and more. This will only take you a couple of minutes and it is so easy to do as well. It is a great way for you to get started on your road to becoming an excellent photo editor! 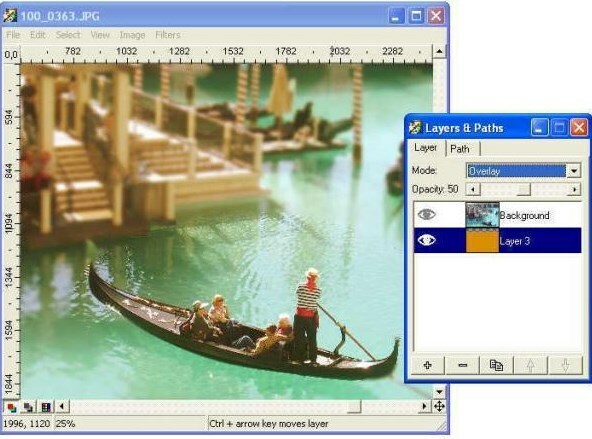 However, the Fotophire Editing Toolkit can only be used on Windows7/8/10. This is cost-effective software that gives you all the tools you need to professionally retouch your old photos. Tutorials make it easy to follow even for the novice. There are scratch removers, smudge brushes, concealer brush, image correction, spot and noise remover, among other features. An easy-to-use software that helps you grow as your skills in retouching improve, this is also every bit value for money in the number of features it provides to help you give a professional touch to all your old photographs. One of the most popular software chosen by professionals, and for good reason, Adobe PhotoShop has all that you will ever need to bring your old photographs back to life. Here's a step-by-step tutorial to restore old photos with Fotophire . Step 1 Open the desired photograph in Fotophire Photo Eraser . Step 2 Click on the Erase tab to choose the tools you that you need to remove the scratches. If the scratches are opaque or in the same color as the photograph, you can zoom in the photo to pick up with more accuracy. Step 3 Simply drag the cursor over the areas of the picture you want to remove to mark them, and then click on the Erase button. 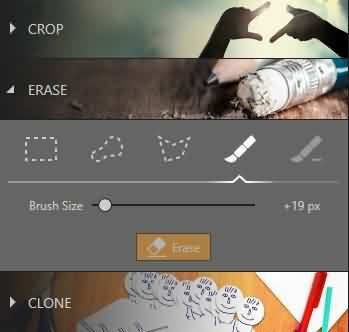 You can also try the clone tool in Photo Eraser to remove objects or people from photographs or restore old photos. This can help to enhance photographs and even remove unpleasant memories from photographs entirely! Scan your photo using a good quality scanner after making sure that the scanner glass is free of dust. A high-resolution scan of 100% works best for old photos. Scan the photo at different sizes to determine the best result. Save the file as a .tiff file as jpeg files tend to lose out on detail. Open the photograph in your photo editing software. Use only the basic editing levels if you are a first-timer in this. If the photo is too dark, use the brightness slider to brighten it up. Red tints can be removed using the color adjuster. Washed out photographs can be given a fresh lease of life using the contrast tool. The dust and scratches filter can be used carefully to remove scratches, taking care not to remove any details. If any areas are removed or torn, you can use the Clone stamp feature to copy and paste the portion you want to clone to the damaged portion. Torn edges can be cropped using the crop tool. Save each version separately so that you can choose the one that came out best. Print out your favorite version and you are done! With these software editing tools, it is no longer a challenge to restore old photographs to their former glory! Narrating stories with photos, voiceover, music, text & titles is a better way to share old memories. Hence, we recommend you to make a video with these old photos with this easy-to-use slideshow maker and video editing software Filmora9. All you need to do is drag and drop the old photos to Filmora9, and then choose your favorite music and sound, record your own voiceover if necessary, add texts and titles and some filters or transitions to the photos, and save it to DVD or share it on YouTube or Vimeo, or save it on your computer. Click the free download button to have a free trial and make a photo video today.